Colorado Association rawhide tree with 15" seat. Mule bars. 4.5" rawhide cantle. 13" fork. 3-way rigging. 2" rawhide visalias. 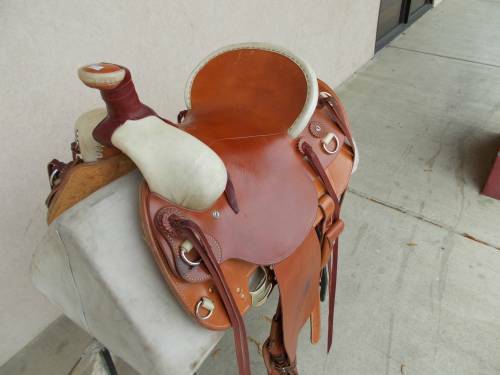 Very nice mountain mule saddle.Stock number 0-5325.